This is the fourth of a series of 5 posts expanding on questions people had asked me when discussing my work and artistic experiences at a recent show. They are published as part of the exploration of my creative life. All searching for meaning is about making sense of our personal experience. Appreciating art is really about a personal experience, both from the perspective of the artist as well as from the viewer. The objectivity of a work of art though exists as a piece of molded clay, chiseled stone, ink on paper, paints on canvas, etc. It is simply what it is. But infused with meaning, it becomes art. Art is all about the personal experiences, likes and dislikes, training, interpretations of the world and current culture, and subsequent expressions in a tangible creative form by an artist. The same factors though also affect the perceptions of the viewer of that work of art. For what is presented is meaningless if not received. My most important questions are: What in this crazy, massively subjective world can I personally share as important art? and What can I share of unique meaning? Those are important questions to me. For many others that is not an important question, which reminds me that those questions are really about me. What I can and wish to share that is unique to me is my experience. That is really what is unique about my work, and why I care so much about my and the viewer's personal experience. No one else in this universe before or after me can express what I share. So my art shares experiences from the perspectives of one individual, who is also a physician and an artist. Those experiences get clumped together in my art. Those shared experiences are most commonly those at the edge of my experience in the natural world, in silence and solitude. My personal experiences color my art. My professional experiences color my art. My training as an artist provides a form to express those experiences. In turn my art colors my personal and professional interactions. It is a very organic interaction between the subjective experiences of my personal life, the attempt to be objective in my profession, and the expressive aspects of my art. Learning and training leads an artist to more clearly express their personal experience and vision in their art. So it is worth the effort to learn to be a better artist, because it really is about more clearly expressing one's own voice in their work. But that is really all an artist can do...more clearly express themselves. Thankfully that is only half the story. The other half is sharing one's work in front of others. The important other half of this artistic dialogue is the "others". It is a dance between the artist and the viewer. It is eventually up to the personal experience of the viewer to decide whether a specific work of art rings with their interior. If that happens, the world of the artist and the world of the viewer are shared and the meaning of that experience of life is also shared. That's a pretty good deal when that happens! Posted in Thoughts, Experiences and tagged evening, eastern Arizona. Questions about my work #3 - What is unique about my work? Questions about my work #2 - Why landscape photography? 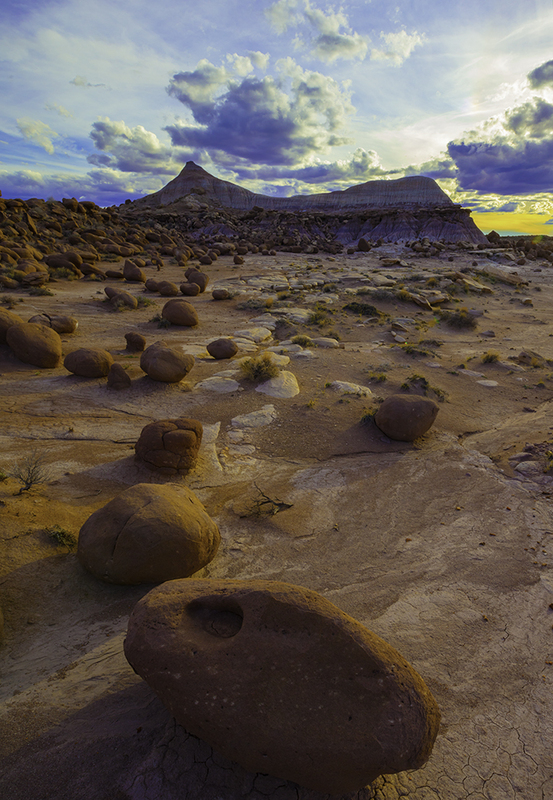 Questions about my work #1 - Why the Southwest?